Thank you very much for becoming one of our favorite people! Now here's what to expect next! With your purchase, you have access to our private facebook page! Connect with TheCompleteHorse on Facebook and send a request to be added to the group. It's that simple! In addition to the Complete Horse Membership private webinars, you're invited to live weekly webinars where I will personally teach some bonus material and answer questions about any course currently releasing while you remain a member! Look for emails with all the links you need :). As a special thank you for purchasing The Complete Horse Private Membership, and our favorite way to surprise and delight our amazing members. We are following the advice of a great mentor and offering our Golden Ticket! So. 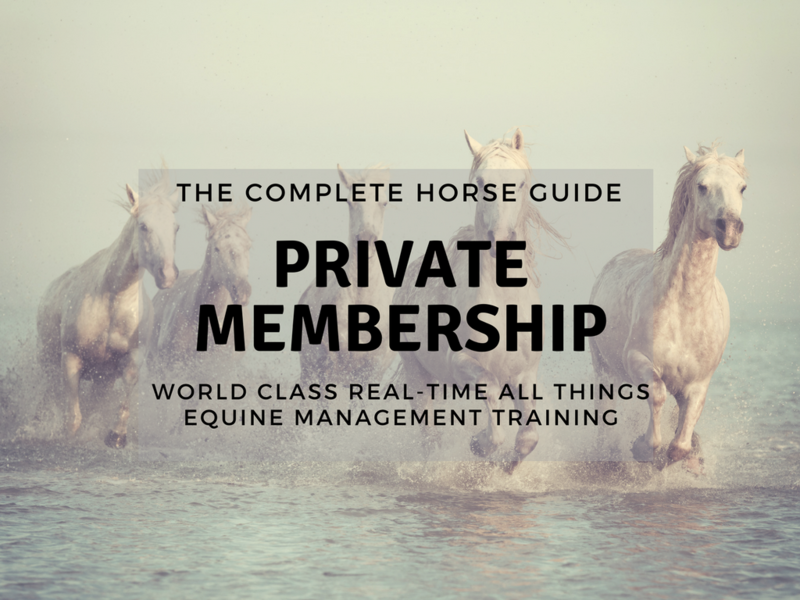 In addition to our membership content, as long as you remain a member, you are welcome to have access to one new or existing course from The Complete Horse Guide library per month! Each week, one section of your course will open. Take your time and go through the lessons and build your skill by putting what you have learned to work each week! Definitely take advantage of Q/A webinars if you can. If you can't, don't worry! They're all recorded and available for you. Occasionally, we'll surprise you with a secret webinar with behind the scenes looks at equine events, live interviews with celebrities, or with special deals on cool products. These won't be recorded - and we'll announce through Facebook, so stay on your toes! !